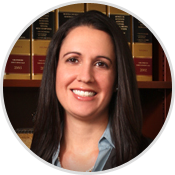 Dana Lidfeldt’s federal and state litigation experience allows her to competently represent her clients and resolve their business problems, whether routine or complex. She has successfully resolved many matters through aggressive representation, including pre-litigation negotiations, document analysis, depositions, sophisticated pre-trial motions, and trial. She navigates through complex discovery issues to ensure that clients obtain needed evidence while fighting against the harassment of improper discovery requests which have become commonplace. When the firm’s clients’ needs are best served through court intervention, she confidently transitions from astute legal analyst to effective orator. Ms. Lidfeldt’s unique skills caused her to be selected as a “Florida Rising Star” by Law & Politics magazine (2010, 2015-2017).